Odessa Arts, with the assistance of itâ€™s partners: the Ector County Library, The Friends of the Ector County Library, Odessa College, The Education Foundation of Odessa, and the Ellen NoÃ«l Art Museum is launching the third city-wide read, One Book Odessa, on Monday, April 13th, 2015. The goal of One Book Odessa is to encourage literacy and reading throughout Ector County and to promote the Ector County Library and its services. 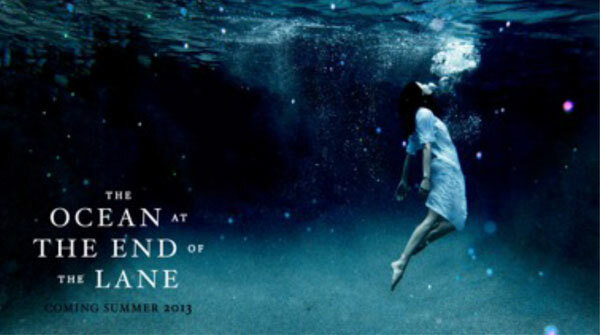 Our book selection this year is â€˜The Ocean at the End of the Laneâ€™ by Neil Gaiman. Forty years earlier, a man committed suicide in a stolen car at this farm at the end of the road. Like a fuse on a firework, his death lit a touchpaper and resonated in unimaginable ways. The darkness was unleashed, something scary and thoroughly incomprehensible to a little boy. And Lettieâ€”magical, comforting, wise beyond her yearsâ€”promised to protect him, no matter what. Gaiman is the #1 New York Times bestselling author of more than twenty books. His works for adults include Neverwhere (broadcast as a BBC radio adaptation starring Benedict Cumberbatch); Anansi Boys; Good Omens (with Terry Pratchett); and the short story collections Smoke and Mirrors and Fragile Things. His most recent novel, The Ocean at the End of the Lane, was described by The Guardian as â€œa book that summons both the powerlessness and wonder of childhood, and the complicated landscape of memory and forgetting.â€ It too was a #1 New York Times bestseller, and was voted Book of the Year in the British National Book Awards. Coraline was adapted as a musical by Stephin Merritt in 2009. Other works for younger readers include The Day I Swapped My Dad for Two Goldfish (illustrated by longtime collaborator Dave McKean); The Wolves in the Walls (made into an opera by the Scottish National Theatre); Odd and the Frost Giants (written for 2009â€™s World Book Day, illustrated by Brett Helquist); and The Dangerous Alphabet (illustrated by Gris Grimly). His most recent childrenâ€™s book is Fortunately the Milk, another bestseller. Gaiman has appeared as himself on The Simpsons and an episode of Arthur, and has written for the hit television series Babylon 5. He has also penned screenplays for the original BBC TV series of Neverwhere; Dave McKeanâ€™s first feature film, Mirrormask, for the Jim Henson Company; and co-wrote (with Roger Avary) the script to Robert Zemeckisâ€™s Beowulf. Other of Gaimanâ€™s work has been adapted for film, television, and radio, including Stardust (starring Robert DeNiro and Michelle Pfeiffer); Coraline (an Academy Award nominee and the BAFTAÂ winner for Best Animated Film); Sandman (currently in development as a major motion picture); and American Gods (a forthcoming television series). Neil Gaiman has been honored with numerous awards around the world. Altogether, he has received 4 Hugos, 2 Nebulas, 1 World Fantasy Award, 4 Bram Stoker Awards, 6 Locus Awards, 2 British SF Awards, 1 British Fantasy Award, 3 Geffens, 1 International Horror Guild Award, 2 Mythopoeic Awards, and 15 Eisner Awards. Other honors include the Shirley Jackson Award, ChicagoTribuneYoung Adult Literary Prize (for his body of work), Comic Book Legal Defense Fund Defender of Liberty award, and an Honorary Doctorate from the University of the Arts, one of the oldest American universities dedicated to the visual and performing arts and design. His novel, American Gods, was the first selection of the One Book, One Twitter book club. This year, the program will run from April 21st through May 23rd.